This book can either be described as picture book or a history book. Puck was one of the first American satire cartoon magazines. This book was wonderfully amusing; it's a collection of many of the cartoons that made fun of the politics of the 19th century, and even the social conventions of the time. What is amusing is that many of the issues the cartoons address are issues that two centuries later are still a plague. If you grab this book, don't think you're grabbing some comic book or anything, you're grabbing a book on the history of modern cartoon strips, of original wit in an era when print was god. 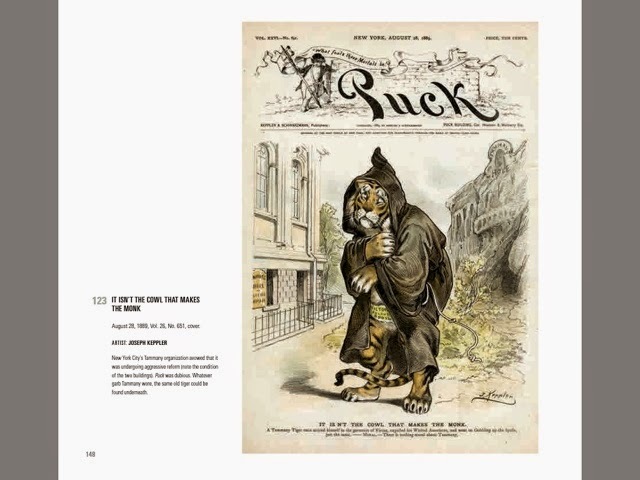 This book encompasses everything that modern satirical cartoons miss, it's enchanting because in an era when the world was more conservative, Puck arose as innovator and speaker of the downhearted. Enjoy this book and What Fools These Mortals Be.